Extended Stayamerica Santa Barbara No. Affordable Rates and Clean, Comfortable rooms are all part of your stay with us. We are conveniently located on State Street, just a short distance from Downtown Santa Barbara, Beaches, UC Santa Barbara Campus and all the attractions for which Santa Barbara is famous. We provide Cable TV with HBO, Free Local Calls, Free Wired & Wireless High Speed internet, Iron/Iron Board, Hair Dryer, Microwave, and Refrigerator. Rooms with full kitchen facilities are also available for extended stays. 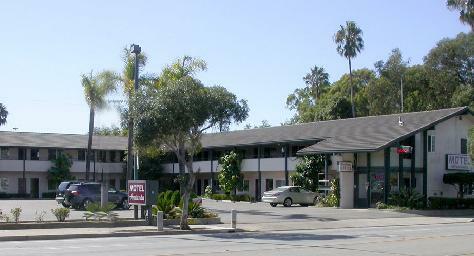 When getting the most for the least is the best...Hacienda Motel Santa Barbara. For comfortable hotel accommodations, were the best hotel value in Santa Barbara.